Boarding out your loft can provide a safe and clean storage space for all your boxes of memories, Christmas decorations, extra clothes and anything else you can't bear to part with. Putting down boards to convert your loft into a usable storage space is a simple task which does not normally require any planning permission and is very affordable. Loft boarding has many advantages. It generates extra storage space. Its an affordable and effective way to store your household goods. 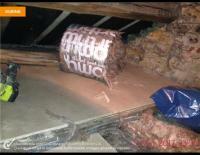 It traps heat in the loft and doesnt require removing Insulation. 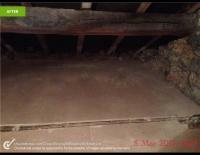 We raise roof joists to avoid squashing any existing Insulation. It makes your home more cosier by adding an extra layer of Insulation. Unfortunately there is no funding available for the cost of loft boarding. This is not classed as a an energy efficiency measure and is more used for home improvements. Although people believe this could be a costly measure it remains one of the most popular ways to make space in the home. There is no ECO funding available for this work, but the cost of the work is only £35 per square metre. We supply and Install Loft Hatches and can even cut out the old hatch to make it larger with prices starting at just £99. If you want to make the loft space usable for constant use then we also supply and Install Loft Ladders prices starting at £199. 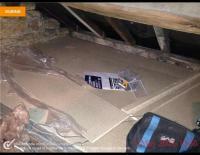 Our friendly surveyor will come and carry out a FREE no obligation survey on your loft. You can discuss your needs to fill the space and the surveyor will answer your questions, with honesty and tell you the best alternatives. Whilst at your home, he will then tell you an honest price and you will have a quote sent to you with in minutes from our team. If you are happy to proceed with the quote, you then give us a preferred date to come and carry out the work for you. This is your decision. On install day, our intall team will lay down protective covering on your floors and carpets all the way upto the designated space. The work will commence and all health and safety policies will be in place. Once the work is complete, rest assured we will leave your home in the same condition it was before we arrived. 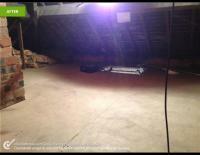 Our install team will remove all protective coverings and finally vaccuum the area we have been working or around. Finally, we will greet you a very fond farewell and leave you to enjoy your new loft space. 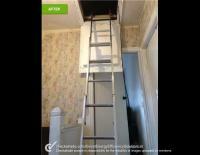 Loft boarding, Loft hatches and Loft Ladders are becoming an ever so popular demand in the modern day. People living in old homes that are small benefit from making the extra spaces available within their lofts. Why not browse some our recent work below and see that final outcome thats our customers have received. What our Customers really think? Upgraded installation and reboarded loft. 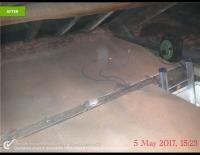 Part boarding of loft and re-laying insulation. Direct Energy Efficiency Solution Ltd.